It goes without saying that I'm in a bit of denial over this 15 months business. 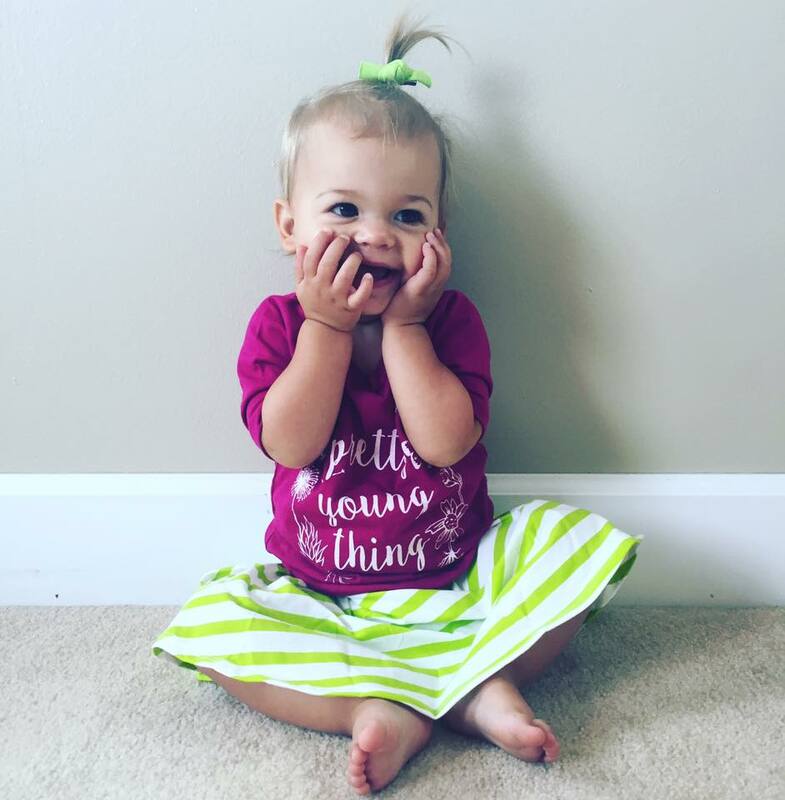 She just turned one, right?! I am a terrible mother and didn't document Cam's 15 month stats, but something tells me he was bigger in all aspects. - Wears mostly 12 month clothing. - The happiest of the happy babies. - Continues to climb on everything despite being told not to. - Favorite toys are balls, baby dolls, Flo, and anything that Cam is trying to play with. - Has no fear. Of anything. - Destructor of anything in her path. - Is a dancing queen. - Has eight sharp teeth. - I swear her hair grows inches overnight. - Loves to eat and steal food. She also loves to feed anyone within arm's length and Sonny. - Is super vocal and chatty. Says mama, dada/daddy, bubba, papa, gaga, Fo (Flo), thank you, hi, bye, wa dat (what's that), outside, ball, shoes, uh oh, ow, ouch, kitty, doggy. - If you say "one, two..." she will say "eeeeeeee!" -Can point to her head, nose, and ears. - Really loves to give kisses and neck-squeezing hugs. - Loves wearing hats, jackets, and shoes. - Is drawn to boys/men over girls/women. - Shakes her head "no" when she doesn't want something. - Points to the refrigerator when she wants milk. - Waves to any and all strangers. - Adores her big brother more than ever. Seriously, their relationship is beyond adorable and I am trying to cherish every minute.